Leganes vs Real Madrid predictions for this Monday’s game in Spain’s La Liga as Los Blancos make the short trip to Butarque. Read on for our free betting tips and predictions. Leganes and Real Madrid meet for the eighth time since the start of last season this Monday. Los Blancos make the short trip to Butarque with a victory in mind as they hope to edge out Atletico for 2nd place in La Liga. It won’t be easy though against a Lega side that is having an excellent season and is tough to beat at home. Leganes will be hoping to upset their illustrious neighbours again here. They knocked them out of the Copa del Rey last term and won the 2nd Leg of this season’s cup meeting at Butarque. They’ve also beaten Barcelona at home this season and held Atletico, so they’ve got nothing to fear here, not least having taken 7 points from their last 3 league outings. Real Madrid meanwhile you sense are just keen to get this season over with. They are all but guaranteed Champions League qualification now but aren’t going to catch Barcelona. If motivation was going to be a problem, Zinedine Zidane hasn’t really helped matters by saying that performances over the remaining games won’t necessarily have a bearing on the futures of players with a big summer overhaul perhaps in the pipeline. The return of Zidane hasn’t really produced a significant increase in the level of performances and it’s hard to really fancy them to leave Butarque with all the points. Real Madrid’s last 3 games have seen them need late goals to beat Eibar and Huesca at home, either side of a defeat at Valencia. 6 points was probably more than their performances merited in those matches and they could be vulnerable again here. 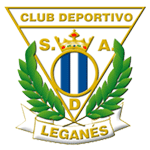 Leganes have been exceptionally strong at home. They’ve suffered just 1 defeat in 13 home league games heading into this match. Only 3 teams can better their record of just 2 home league defeats overall this term. 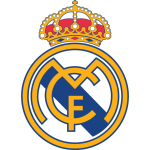 Their direct style has caused Real problems in the past and you have to wonder whether this laboured Real Madrid side is going to be up for the derby battle they are sure to get here. Overall, backing Leganes Double Chance could be the smart move in this one. Real Madrid have won each of their five LaLiga games against Leganés, scoring an average of 3.2 goals per game. Real Madrid are unbeaten in their last 17 LaLiga games against Madrilean opposition (W13 D4), while Leganés have only lost one of their last six derbies in the competition (W3 D2). Real Madrid have only lost one of their last eight LaLiga away games (W6 D1), however that defeat did come on their most recent trip (1-2 vs Valencia). Leganes are unbeaten in their last three LaLiga games (W2 D1), after losing their previous two in the competition. Real Madrid’s Gareth Bale has scored in three of his four LaLiga games against Leganés (four goals). Real Madrid striker Karim Benzema has been involved in at least one goal in each of his last five LaLiga games (six goals and three assists). Real Madrid’s Karim Benzema has scored nine headed goals in all competitions this season, more than any other LaLiga player. Leganés’ Sabin Merino has scored two goals against Real Madrid in LaLiga, a joint-high against a single opponent (alongside Real Betis). Leganés manager Mauricio Pellegrino is winless in his four LaLiga games against Real Madrid to date (D1 L3).